determined after an in-depth conversation on the client’s goals and vision – no two projects are the same! The samples below will give you a guideline for price points. After we discuss your individual project, we will provide you with a detailed estimate and scope of work. 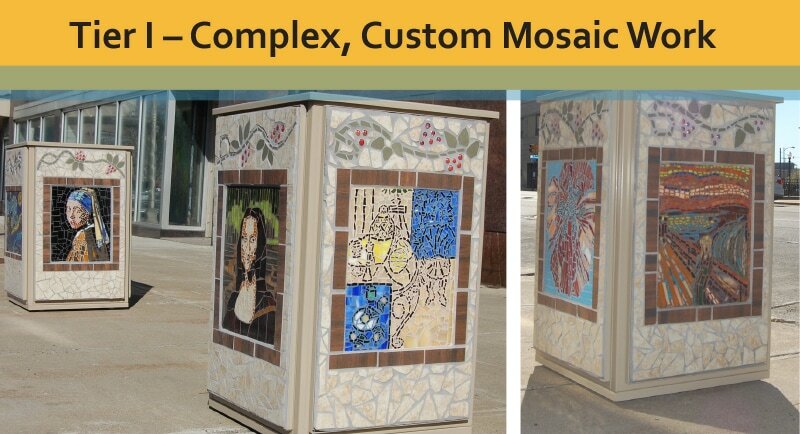 Projects like this for Art & Vine in Utica, NY called for each side to be a different image with each consisting of complex mosaic work. 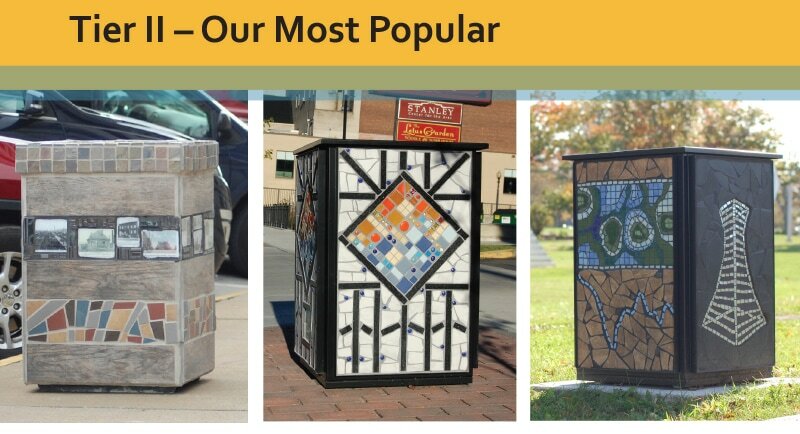 They are considered works of art by passerbyers and make a bold statement. Receptacles like these are our most popular. Designs may vary a bit on each - i.e. three sides with the same design and one with a different design. Bands of photos, drawings or maps may also change per piece. The simplest designs can also be very impactful and showcase your brand nicely. 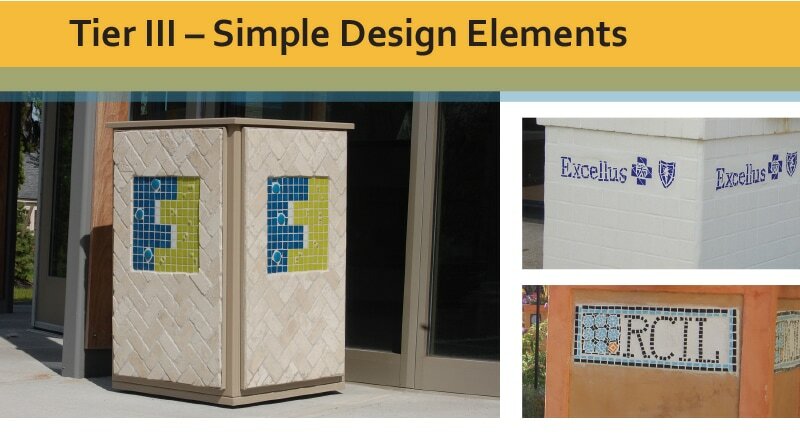 Your logo or a simple image can be replicated in mosaic and your corporate colors closely matched.